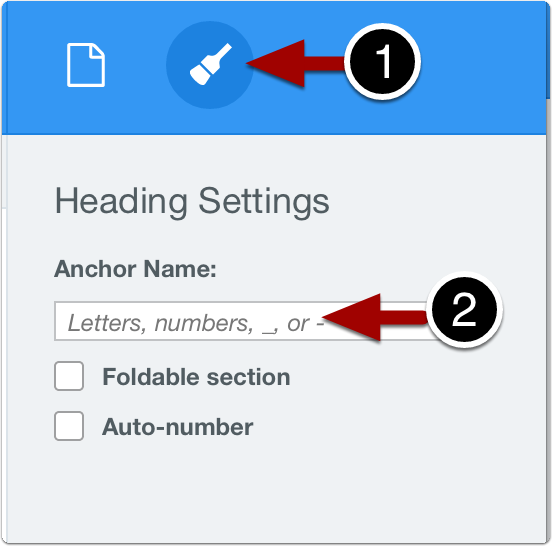 If you want to send an email with a link to a specific heading within a ScreenSteps article (or include a link from your web application to a specific heading in a ScreenSteps article), you can use anchors in your article headings. When you save an article in ScreenSteps each heading will have an anchor generated using the heading text. 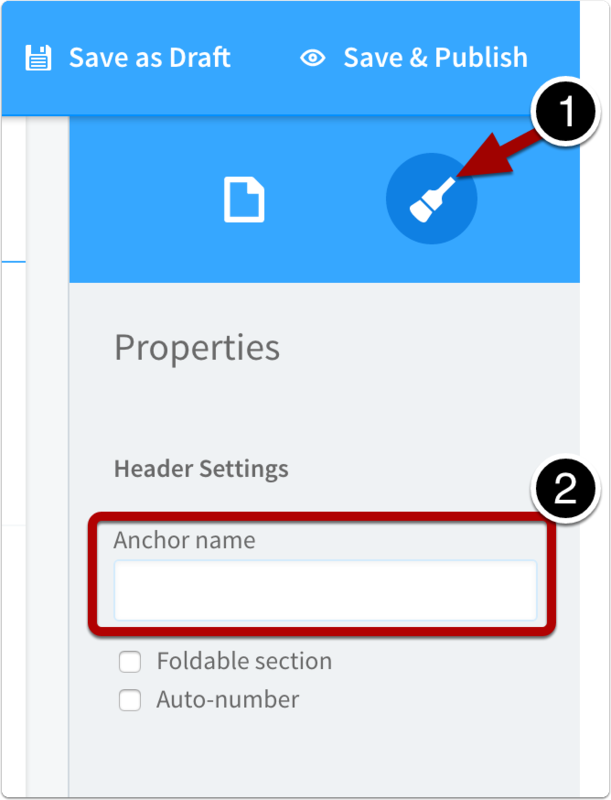 These instructions will show you how to customize that anchor name or add one after creating a new heading. In the web editor, click in the heading field that you want a link to directly go to. An anchor name doesn't need to be very fancy. Just make sure there are no spaces between words! 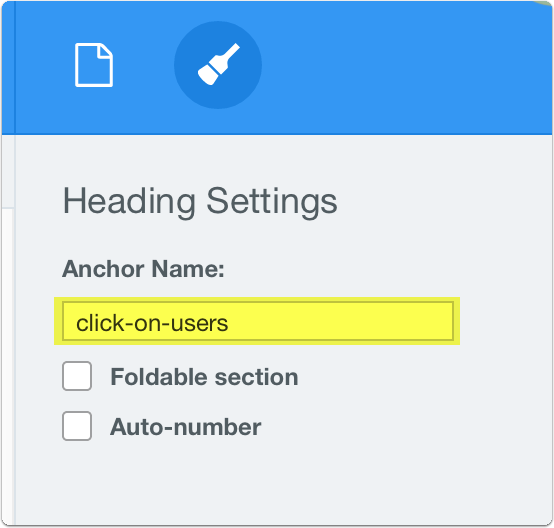 Instead of writing "click on users" you would write "click-on-account" or "click_on_account"
An anchor name doesn't need to be very fancy. Just make sure there are no spaces between words! 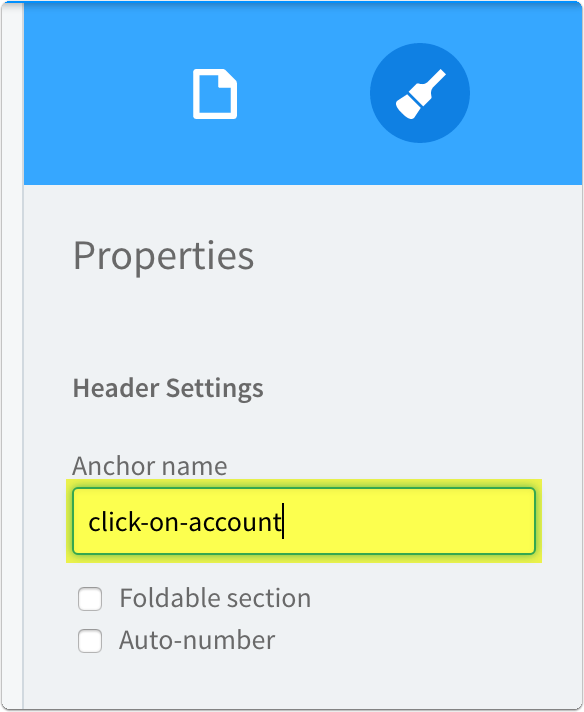 Instead of writing "click on users" you would write "click-on-users" or "click_on_users"
After you create an anchor name for a specific heading, you can send somebody a link to that direct heading in your ScreenSteps article. The easiest way is to use follow these instructions on sending the user to a specific spot in an article.